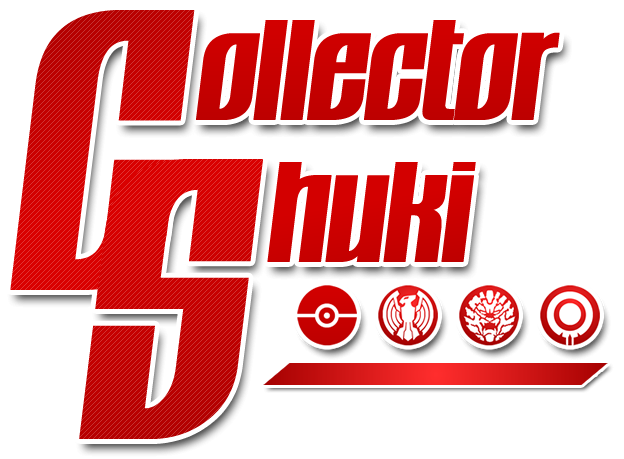 The Complete Selection Modification line is a rebirth of the Complete Selection series. While the Complete Selections of old were all new molds that cost several hundred dollars, the new Complete Selection Modifications take the original DX releases, and improve on them. CSM releases include more paint, metallic finishes, possible die-cast added, and an advanced strap designed for screen accuracy and an adult length. 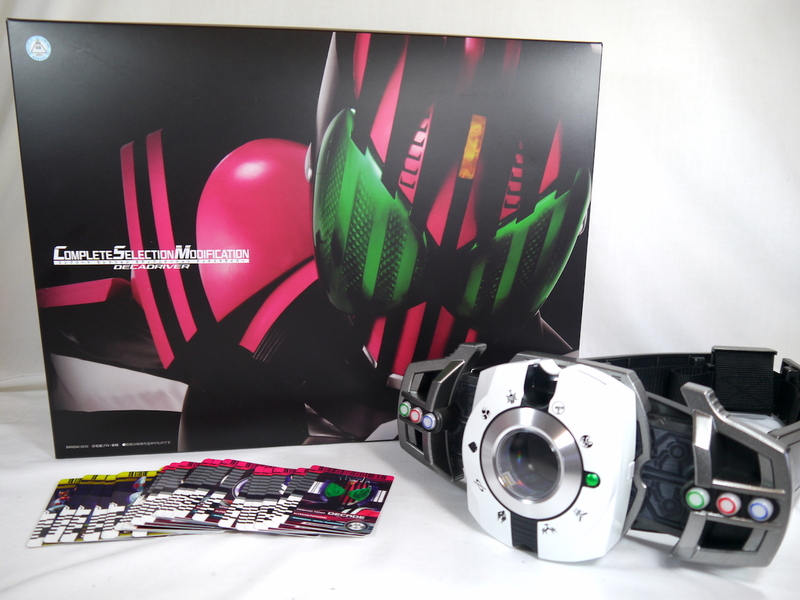 The latest release in the Complete Selection Modification is the transformation belt of Kamen Rider Decade, the Decadriver. It was released in February, 2015, with a second shipment in March, 2015 for ¥12,960. I don’t normally talk about the boxes of toys in blog posts, but the Complete Selection Modification boxes are nothing short of beautiful. The box is a neat combination of black and pink, just like Decade himself. The inside of the box beautifully displays the Rider Cards and the Driver itself in a nice windowed display, to the point where I could see some people displaying the item still in package. It just looks great. I’ll let the pictures speak for themselves. The toy itself isn’t a whole lot different from the original release. The toy uses the same mold, so those that have owned the previous releases will know how the toy operates and how big it is. Of course, just like all CSM releases, has a more advanced strap covering. The straps are meant for adults, so most in-shape adult fans should be able to wear it. The inside of the toy does have a nice metallic finish, giving a little bit of brilliance to the simple red LED inside. Fans may notice a new button on the bottom of the electronics portion of the Driver. This new button plays one of two background tracks from the series, often used during card activations. Press once to hear “Parallel Worlds” the tune often heard during pivotal moments in the show. Press twice to hear “Decade” another tune heard often during transformation. This feature is just flat out cool. The clips play for about 15 seconds, and continue to play even during transformations or card activations. The bulk of the new of this item is the insides of the toy. Bandai brought in Mark Okita, the voice of the Decadriver in to record all new sounds. While the previous toy only had transformation sounds, along with generic “Attack Ride! Kuuga!” noises, the CSM Decadriver now has a unique sound for nearly every Rider Card available between this release and the Rider Card Set. While they don’t have unique sounds after the call, just heading the proper names like in the show is pretty amazing. Combo this with the background music button and you have some pretty awesome effects. Overall, the CSM Decadriver is simply a must have. The previous CSM releases were really only worth the money if you didn’t already own the original. The Decadriver trumps that concept. Even if you own the DX or Super Best releases of the Decadriver, the CSM release is a must have for any fans of Decade. The new phrases are pretty amazing, and well worth the purchase. Picking up this and the Rider Card Set is pricey for sure, but well worth it in the end. Hi. I have a problem with my driver that I hope you can help me with. It always glitches and refuses to read the main decade card. Can you please reply via email so I can send a video of what I’m talking about, as it’s very hard to explain. Thanks.